Ryokan are a great choice for families. You can all sleep in the same room and have a truly authentic Japanese experience. Here are our top choices for family ryokan in Kyoto, divided by budget category. If you’re traveling with a family in Japan, you will soon discover that hotels can be very inflexible. Few hotels have rooms that can hold more than four people. Thus, ryokan are a natural choice for families, because they usually allow two adults and up to three or four children in the same room. Better still, good ryokan will also serve you meals in the room, which means you don’t have to worry about the kids’ behavior in a restaurant. Here are our picks for the best family-friendly ryokan in Kyoto. If you want a truly Japanese experience, it’s worth splashing out for a night or two in a luxury ryokan. These places look like the ryokan of your imagination: traditional wooden buildings, superbly appointed rooms, fine wooden baths, and lovely gardens. And they have the service and food to match. Located in the heart of Gion, a short walk from Maruyama-koen Park (where your kids can play), this superb ryokan is our top choice for a family-friendly ryokan in Kyoto. They get everything right and they do it in style. Their own online booking site is a bit tricky – consider going through a third-party site like Booking.com. This ryokan is definitely pricey, but the rooms and common areas are superb and the food is delicious. It’s great for a first memorable night in Kyoto. 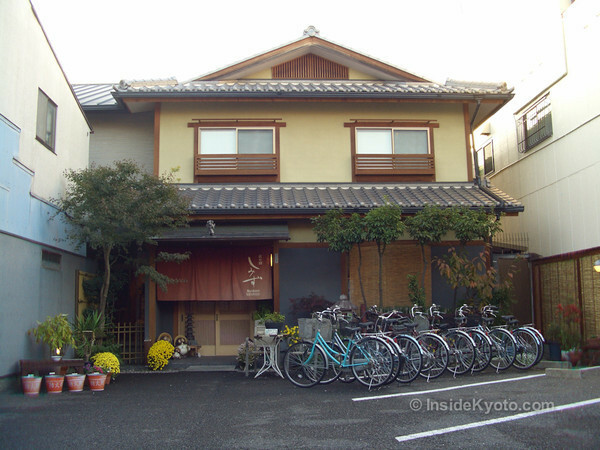 Located just down the road from Nanzen-ji Temple, and within easy walking distance of the parks of Okazaki and the Kyoto Zoo, this comfortable ryokan has spacious rooms that are perfect for families. They also serve a wide enough variety of food to please picky young eaters. Mid-range ryokan are a great choice for families. They’re less fancily decorated, which means you can relax a bit more in the room and the prices are much more reasonable than the luxury places. This classic traditional-style wooden ryokan is a beautiful place to stay a bit north of Kyoto Station. They don’t accept children younger than 7, and that’s probably for the best, because people with younger children would be worried about the kids damaging the room. Meals are served in rooms and the experience is totally Japanese. Highly recommended. Located a bit north of downtown, this large hotel-style ryokan is a good choice for families. 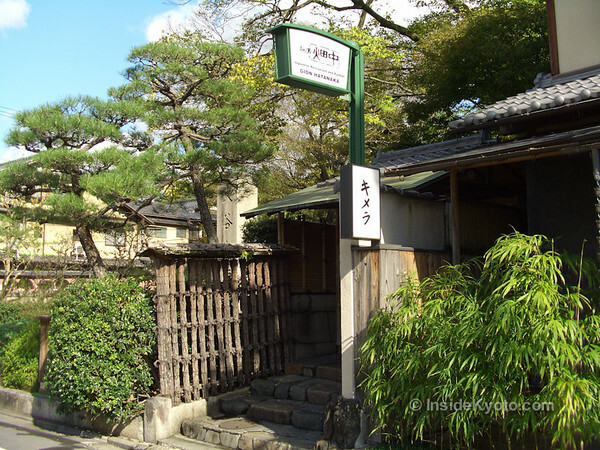 It’s within walking distance of the Kyoto Imperial Palace Park, which is a great place for children to play. There are also plenty of family restaurants nearby. Right smack in the heart of downtown, and very close to Misayama-koen Park and plenty of family restaurants, this serviceable ryokan has comfortable rooms for families in a hotel-style building. 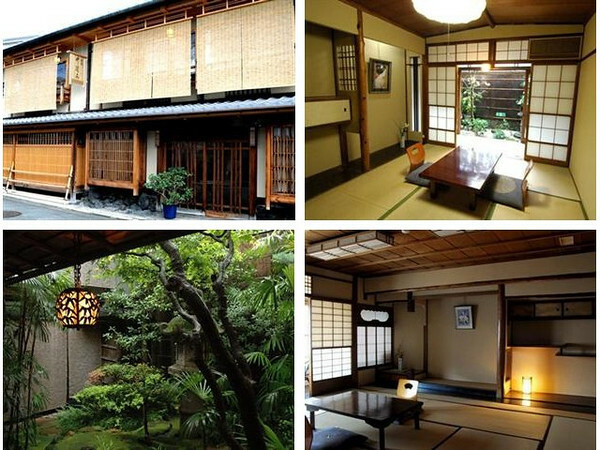 A short walk north of Kyoto Station, this fine little ryokan is extremely popular with foreign travelers. You’ll have to book far in advance to snag a room here, and that should tell you something about the quality of this place – they get many repeat guests. :: Check availability and pricing for Ryokan Shimizu on Booking.com or Agoda.com. Within walking distance of Kyoto Station, this hotel-style ryokan offers simple, serviceable rooms that are fine for families traveling on a budget. :: Check Availability, Pricing and Guest Reviews of Matsubaya Inn on Booking.com or Agoda.com.